Many of us imagine scrapping an old car involves taking it to a junk yard where a huge crane drops it into a massive machine that compresses a once-loved motor into a suitcase-sized cube. In reality, scrapping cars doesn’t involve a scrap heap at all: in Eurocrat-speak, worn out cars are subjected to recycling and energy recovery as part of the End of Life Vehicle Directive (ELV). And as of 2015, the law demands that an impressive 95 per cent of every new car must be recycled. The ELV was introduced to the UK in 2005 in a bid to tackle a heap of old cars that was growing to the tune of 8m tons a year. To prevent drivers scrapping cars simply by abandoning them, the ELV means financial responsibility for recycling a car now lies with the vehicle manufacturer rather than the owner. But because of the booming recycling industry, British drivers can make a tidy sum of money out of cars that are literally fit for the scrap heap. If you want to secure the maximum value from your old car, then you should handle the process of organising the recycling yourself. Vehicle owners will need to locate their local Authorised Treatment Facility (ATF) – which meets the necessary standards required to hold a licence to recycle vehicles – by using the authorised register from the Environment Agency. Don’t have time to handle the process yourself? 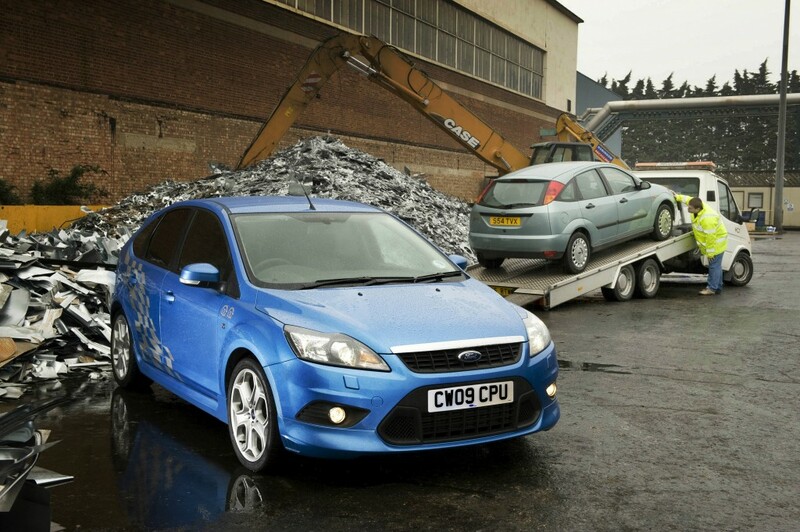 There are multiple companies such as cartakeback.com, rewardingrecycling.co.uk, sellyourjamjar.com, removemycar.co.uk, cartakeback.com that handle all the stages involved in scrapping cars. This includes putting vehicle owners in contact with their nearest ATF. At the end of the process, the vehicle owner will be paid and issued with a Certificate of Destruction (CoD) confirming the car has been scrapped according to the regulations. It can pay to shop around when scrapping cars, as you might be able to get a slightly better price for your car from one ATF compared with another. A typical family saloon car will be worth about £150; rarer cars will be more sought after by dismantlers, as their spare parts are more valuable. Did you know there are not-for-profit car donation schemes which turn your old car into cash for any UK charity? No? Neither did we. Giveacar.co.uk, charitycar.co.uk and even Oxfam will gladly accept your car and do some good with it. It may be convenient to have your old car collected from your home ‑ and possibly essential if it’s not running ‑ but you’ll be paid less by approximately £40. The vehicle’s keeper is obliged to notify the Driver and Vehicle Licensing Agency (DVLA) that they have transferred the car to a dismantler. Failing to do so means they remain liable for road tax and traffic offences. Fill out section nine of the V5C form (which shows who is responsible for registering and taxing a vehicle), have the ATF or agent add their details and then send the V5C to the DVLA. To help prevent fraud, the vehicle owner will need to prove their identity with a photo card driving licence and a proof of address, such as a utility bill. Because the documents are copied and stored for three years, it’s important to ensure you are dealing with a reputable ATF that won’t misuse your personal data. Following the introduction of the Scrap Metal Dealers’ Act in October 2013, which aims to prevent the trade of stolen scrap metal in England and Wales (not Scotland), it is illegal to pay cash for scrap metal. Sellers must choose one of three payment options: Faster Payment, BACS bank transfer or PayPal. If your insurance runs beyond the date that you’ll hand over your car for recycling, contact your insurer as they will refund any outstanding cover that remains once you’ve disposed of your banger. Seven days after handing over your car to an ATF, the DVLA should send out a Certificate of Destruction (CoD). Keep this safe for future reference. We are pretty fussy about driving older cars here in Britain, but in some countries, it is not such an issue. So some cars that are sold to scrap yards, find themselves on ships to Africa or other nations, who will find a way to keep them running. Nice Post. Many people have an old car that they want to sell their car. Before selling you need to find out what is working in the car. If you have a scrap or damaged car and you’re looking to sell then give us a call or fill our registration form. 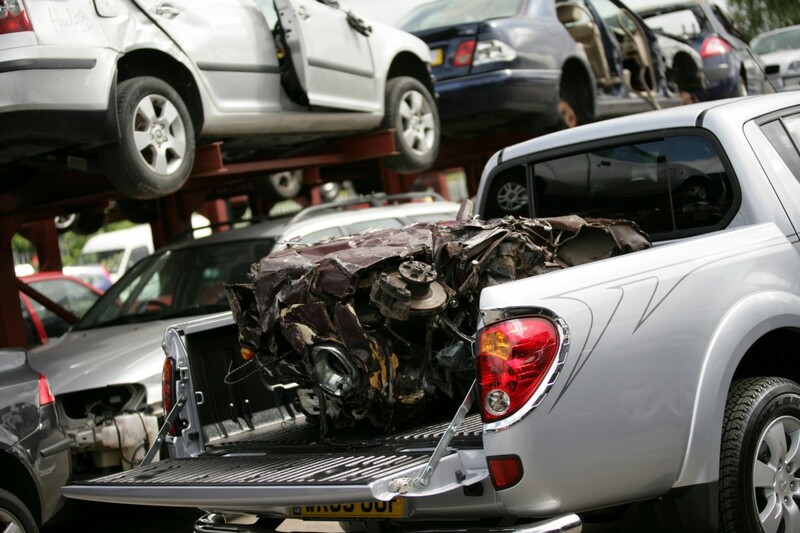 We can scrap your car legally in Herts, collection, and disposal, scrap a car and get cash today!